Before we throw open our doors for the Deloitte Ignite 15 festival, we challenged some talented young performers to retell the story of Romeo and Juliet. A few weeks ago we opened up our front of house spaces to a group of talented young performers, and asked them to create a short contemporary reimaging of Shakespeare's classic love story, Romeo and Juliet. 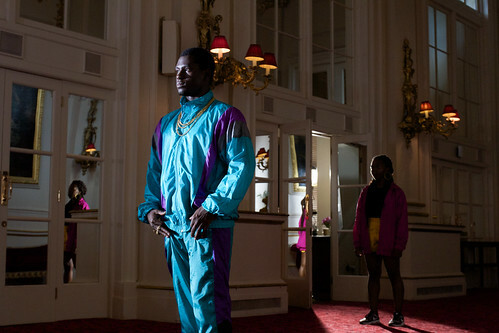 The film juxtaposes their modern talents with the 19th-century backdrop of the Royal Opera House. In collaboration with somewhereto_, an organization offering 16-to-25 year olds across the UK access to free event spaces, we invited spoken word artist Samuel King, roller skaters Nas Khan and Renee Castello, and a group of contemporary dancers from Avant Garde Dance to respond to the tragic tale. ‘I know the name Royal Opera House so it was a big deal to be part of a film that’s happening in these spaces,' says Samuel, 20, a spoken word artist from King’s Cross. Samuel plays the narrator in the film, a role for which he wrote the script, combining modern language with original lines from the Shakespeare play. 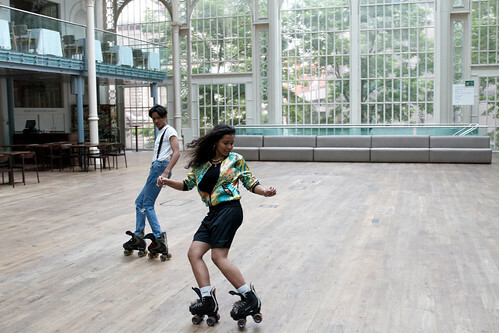 Quad Skaters Nas and Renee filming in the Paul Hamlyn Hall for Deloite Ignite 15 © 2015 ROH. Photograph by Livity. 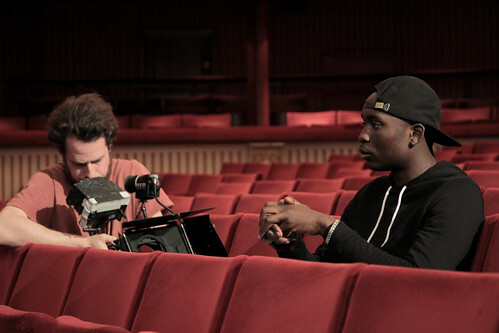 Spoken word artist Samuel King filming in the auditorium for Deloitte Ignite 15 © 2015 ROH. Photograph by Livity. Performers from Avant Garde Dance filming in the Crush Room for Deloitte Ignite 15 © 2015 ROH. Photograph by Livity. Performer from Avant Garde Dance filming in the Crush Room for Deloitte Ignite 15 © 2015 ROH. Photograph by Livity. Quad Skaters Nas and Renee filming on the main stage for Deloite Ignite 15 © 2015 ROH. Photograph by Livity. College students Nas and Renee, both 16, play the roles of the star-crossed lovers Romeo and Juliet. They already know each other well off camera, skating together regularly at the Stratford Shopping Centre, the unofficial home for quad skaters in London. 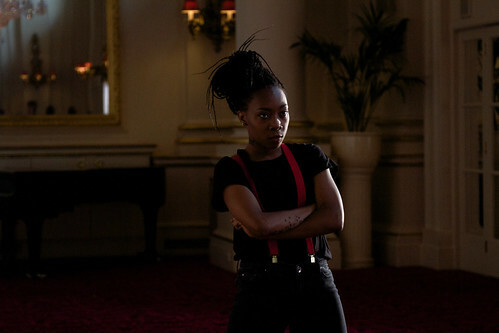 This film is part of Deloitte Ignite 15, the Royal Opera House's annual arts festival, showcasing singers, musicians, dancers, costume and prop makers, street performers and much more. The festival runs throughout September and includes many free events. Deloitte Ignite runs from the 3-27 September 2015 and includes a wide range of free and ticketed events.